Low testosterone? Due to overwork, stress, and/or illness, and those wanting to increase jing, vitality, and overall youthfullness. 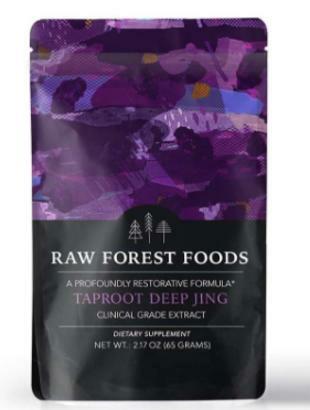 We developed TapRoot Deep Jing formula specifically for our RAW Forest Foods' customers: those with symptoms of andropause, due to overwork, stress, and/or illness, and those wanting to increase Jing, vitality, and overall youthfulness. Drawing on Five Element theory and TCM traditions, TapRoot is designed to replenish and restore the body's innate vitality. Codonopsis pilosula (Dang Shen);Goji berry (Lycium barbarum);Ligustrum lucidum (Glossy privet);Dodder Seed (Tu Si Zi, Cuscuta chinensis);Atractylodis macrocephalae (Bai Zh.u);Fructus psoraleae (Bu Gu Zhi)TapRoot is a proprietary RAW Forest Foods formula, developed specifically for our customers' unique needs and wants, and we are proud to share it with our customers and we are pleased with the feedback we have received about this product. Seeing a pattern of overwork, stress, and/or illness which was leaving many people with symptoms of premature aging, andropause, or just an otherwise loss of vitality, RAW Forest Foods drew on Classical Five Element theory and Traditional Chinese Medicine (TCM) practices to develop our TapRoot Deep Jing Formula. This formula is designed to replenish and restore the body's innate vitality. TapRoot directly replenishes yuan Qi and Jing, the source of youthfulness, longevity, drive, and purpose within the body. And, in doing so, promotes the cessation of premature age related degeneration and promotes longevity. 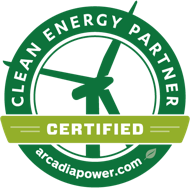 In working very closely with our customers over the past years, we have been able to develop a unique vantage point in observing patterns of low hormones and common lifestyle attributes, including loss of drive (not limted only to libido), feelings of premature aging, low energy, and just generally being burnt out and "not like myself anymore." We see this pattern develop in people who are overworked, over driven, people who lead a life of some type (or several types) of excess. In short, a very Yang life. This leads to a condition of excess and heat. When these attributes begin to slip, people tend to look for the more stimulating, more yang herbs, like Deer Antler, Chinese (Panax) Ginseng, even Pine Pollen--any herb which embodies those attributes we find missing or fading in our lives. While these are all highly beneficial herbs, they may not be the best choice to restore and replenish a worn out body and mind. TapRoot is our answer. While it may seem contradictory at first, the best way to regain those qualities is not necessarily to supplement with herbs that promote them, but to clear the excess heat while building the body with nutrients for Qi and Jing. TapRoot is a cooling formula for deep Qi and Jing restoration. All herbs in the formula are organically grown or are ecologically wild crafted, and are 10:1 hot water extracts (with the exception of goji berry, which is a stronger standardized 30% polysaccharide extract).TapRoot helps to clear the excess heat from the body, finding balance, and to replenish with vitality.